Provide comfort for the family of Rickey Dickinson with a meaningful gesture of sympathy. MELROSE - Rickey D. Dickinson, Sr, 65, of Pinewoods Rd, died suddenly on Saturday March 16, at St. Peter’s Hospital after complications following a recent heart surgery. Born in Troy on January 6, 1954, he was the son of the late Frederick and Grace Yager Dickinson and husband of the late Susan Bull Dickinson who died in 2008. Rickey worked for 42 years as a meat cutter for Price Chopper until retiring in 2013. His skill as a butcher continued over to deer harvesting. He ran a small business processing the deer that friends and family members brought to him. Rickey was a longtime member of the Pleasantdale Rod and Gun Club. He enjoyed his time at the club and was a very active member. He spent countless hours there, established great friendships with amazing people. He was also a former member of the Green Island Rod and Gun Club. Rickey was an avid hunter, enjoyed fishing and always looked forward to hunting camp trips in Hope, NY. Above all else, Rickey enjoyed the company of his family and loved spending time with his youngest grandson Connor, having sleep overs and movie nights. He also enjoyed helping his son Rickey Jr and grandson Rickey III with their construction business. Survivors include his daughter Diana M. Dickinson of Troy, son Rickey Dickinson Jr of Mayfield, grandsons Rickey III and Connor Dickinson, sisters Robyn Bonvicin of Castro Valley, CA and Darcy(Christopher) Connolly of Schaghticoke, niece Kendall Bonvicin and his best friend and cousin Chuck(Charlotte) Dickinson. Calling hours will be held on Tuesday evening from 4-6PM at the DeVito-Salvadore Funeral Home, 39 S Main St, Mechanicville, NY 12118 with a funeral home service to follow beginning at 6PM. A celebration of life will be held at the Pleasantdale Rod and Gun Club following the funeral service and beginning at approximately 7PM. In lieu of flowers, donations may be made to the Pleasantdale Rod and Gun Club, P.O. 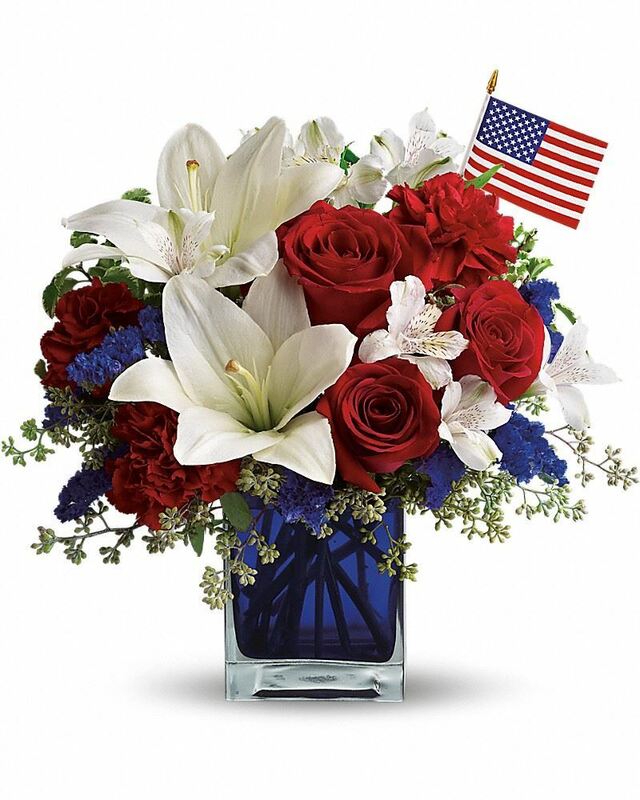 Box 218, Troy, NY 12182 in memory of Rickey Dickinson, Sr.
To send flowers in memory of Rickey D. Dickinson Sr., please visit our Heartfelt Sympathies Store. Provide comfort for the family of Rickey D. Dickinson Sr. by sending flowers. Heartfelt Sympathies Store purchased flowers for the family of Rickey Dickinson. My beloved brother, Rickey Don Dickinson, is no longer with us. I'm devastated by the news of his tragic passing. Rickey was one-of-a-kind. He was the kindest, most genuine, sincere, authentic person I've ever known. There are not enough adjectives to describe my brother. He just had this way about him. If you knew him, you felt it. There is not a person in this world who didn't love Rick. He was always this way right from the beginning. He was a wonderful brother to me and my sister, Darcy. There is nothing he wouldn't do for you. You could always count on him. He was also the most honest person I've ever known. His laugh was contagious. We loved to play croquet together as a family and he played to win! My condolences to Rick Jr., Rick III, Diana and Connor, my heart - my sister, Darcy. My condolences to all the family members. My dearest brother, I will never forget you and will love you forever.